Food writing may be the last form of journalism that doesn’t divide us. Obviously, people will take sides when it comes to Piedmont versus Western North Carolina barbecue or the most poetic preparation of Raviolo al Uovo or Shrimp and Grits for that matter. But then those are healthy divisions, the kind that somehow actually bring us together. And this because good food always reconnects us to the land and to each other. And good stories about food remind us of that connection. Who doesn’t share that sentiment? If not for pasta, those “layers of lasagna dotted with ricotta” she describes, then for some other soul-bolstering dish—say good old proletariat collards and black-eyed peas with plenty of Frank’s Hot Sauce and a fat goblet of Malbec? This is what Edible Asheville does so well. Their tagline— “The story of food and drink in Western North Carolina”—puts the narrative nature of food front and center. For a town and region that has such a white-hot culinary and bar scene, it would be easy for our local food magazine to just showcase the latest breweries and restaurants. 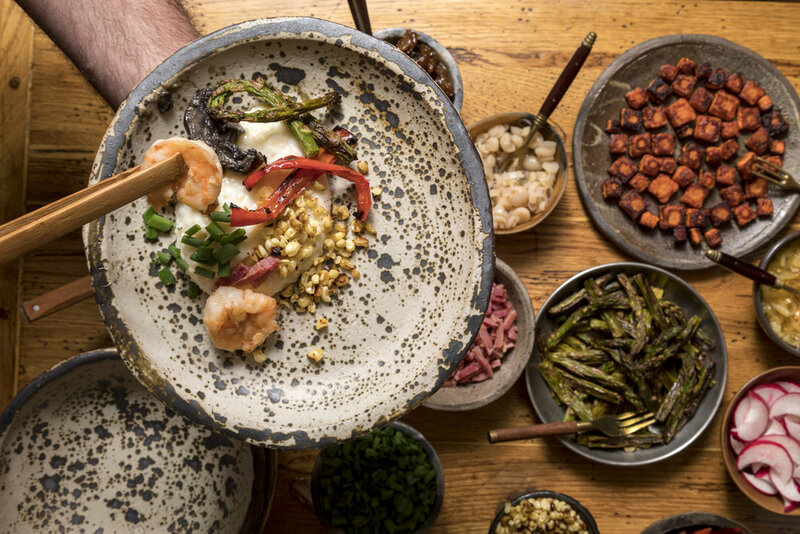 But Edible Asheville reminds us of what really matters, which are the connections, traditions, and people behind the ladle. At times it feels almost like a conversation you’d have out on the porch on a June evening, remembering the past generations of farmers, foragers, and homesteaders, the agrarian culture that’s deeply rooted of these mountains. As you can see from this brief interview, Erin is super modest, preferring to let her photos speak for themselves. 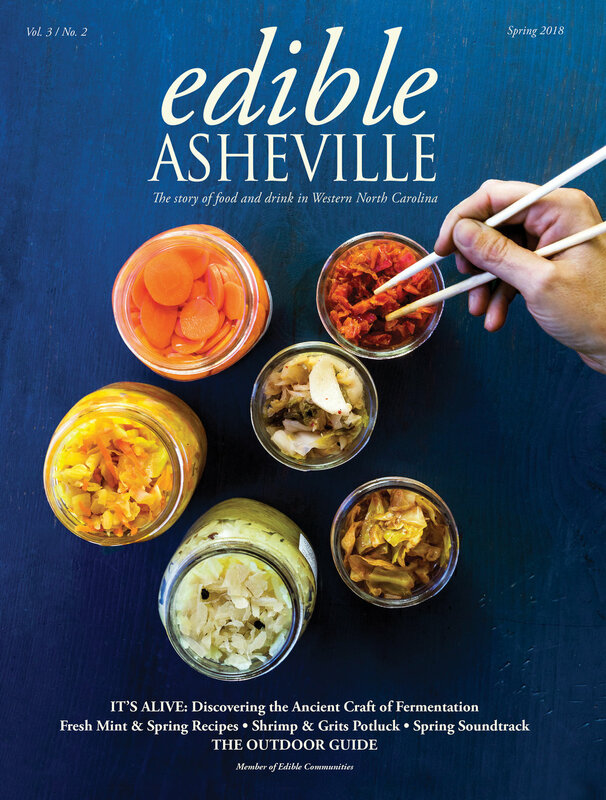 But over the past several years, perhaps more than any other photographer in Asheville, she’s amassed a body of work that truly captures the visual story of the Asheville food scene, not to mention the people behind it, with powerful images of the chefs, homesteaders, brewers and teachers behind the scenes. 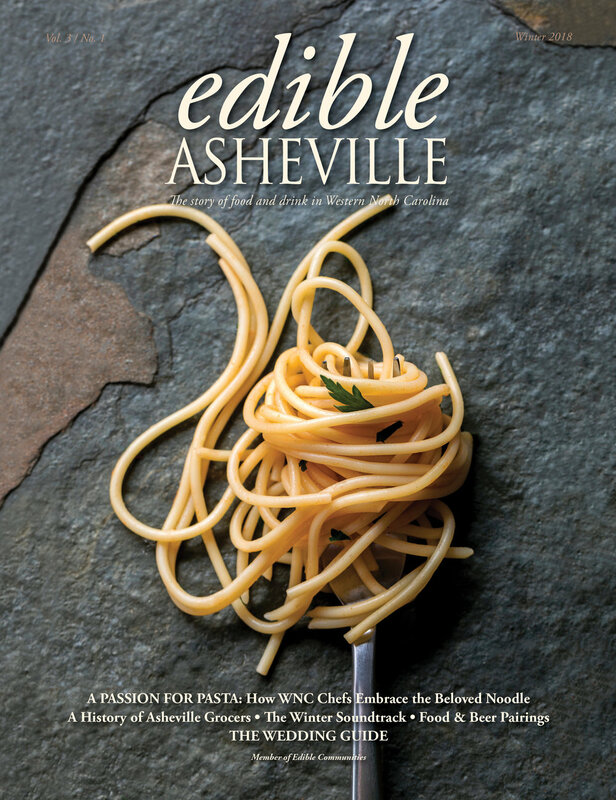 Check out the Spring 2018 Edible Asheville on newsstands now.